The Friends of the Merril Short Story Contest, working in partnership with one of our donor sponsors, Author Creations, is running a mini-contest from Sunday, Nov. 27th through Sunday, Dec. 4th. Staci sells a cover only once, so the winner, and the winner alone, will be using that image for their book cover. 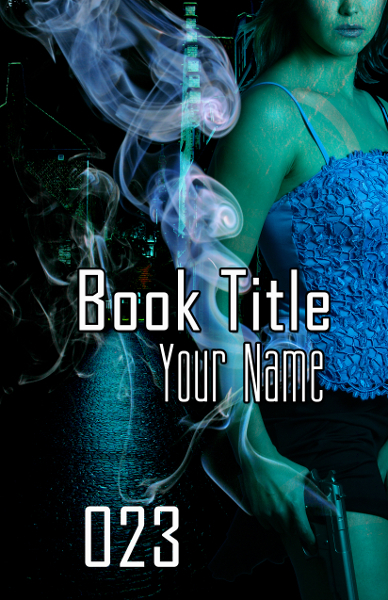 This particular image says to us “Urban Fantasy/Noir Mystery/Thriller/Paranormal Romance”, but the winner will get to use it any way they want. sending an e-mail to fomsscontest@gmail.com with the Subject line “Mini-Contest Entry”. Please provide your name in the body of the e-mail – and if you’re entering on behalf of someone else please mention that, as well as the intended recipient’s name, in your e-mail as well. There is no cost, or other requirement save those stated above, for entry. Once the week long entry period for the mini-contest concludes we’ll put the names of all the entrants in a hat (no, really), and select the winner at random. Once a winner has been selected the Friends of the Merril Short Story Contest will announce their name here on the website. We will then get in touch with the winner via e-mail as well as provide the winner’s contact information to Staci so she can get in touch with you. As of now, this mini-contest is officially open. Good luck to everyone who enters. Please note that this mini-contest in no way supersedes, affects, or effects the Friends of the Merril Short Story Contest, or entries submitted to same. As always, if you have questions please address them to Michael Matheson at fomsscontest@gmail.com. The 2011-2012 Friends of the Merril Short Story Contest is now officially open. The Friends of the Merril Collection are running a Speculative Fiction Short Story Contest in order to raise awareness of, and funds for, the Merril Collection of Science Fiction, Speculation and Fantasy through the Friends of the Merril Collection (whose stated objectives, codified in the organization’s constitution, can be found at http://www.thefriendsofthemerril.org). The Friends of the Merril Short Story Contest, as we are referring to this contest – which we plan to make an annual event – will distribute cash prizes to three winning entrants, as judged by a panel of authors, editors and other notables in the Canadian Speculative Fiction community. The contest is open to international entrants without restriction on country of residence, entrant’s publication history (or lack thereof), or any other delimiting factors (though entrants not of age of majority will need a parent or guardian’s permission in order to enter). Entries must be original, previously unpublished short stories with a maximum length of 4,000 words, and must be submitted as an e-mailed .rtf attachment (composed in Standard Manuscript Format) to fomsscontest@gmail.com. The reading period runs from November 15, 2011 through February 15, 2012, and each entry must be accompanied by an entry fee of $5 (CDN). For full rules see either the Contest Rules or FAQ pages. For all other information please use the menus and tabs to navigate the site. If you have questions relating to anything about this website or the Friends of the Merril Short Story Contest please address them to Michael Matheson at fomsscontest@gmail.com. Now that the 2011-2012 reading period is officially open, the Friends of the Merril Collection would like to take this opportunity to wish all our entrants good luck, and to offer our sincere thanks to all those individuals and organizations who have helped promote, fund, or otherwise run this, the inaugural Friends of the Merril Short Story Contest. We look forward to reading your entries! For those of you who are not familiar with Sandra’s work – assuming you’ve been living under several tons of rock – Sandra and her husband Brett Alexander Savory run ChiZine Publications (which they so aptly describe as a “publisher of weird, surreal, subtle, and disturbing dark literary fiction”) and Chiaroscuro: Treatments of Light and Shade in Words. Sandra is known for her pitch dark, lyrical, and highly resonant poetry as well as her exquisitely beautiful short fiction, which is as much prose as her more traditionally poetic work. Sandra has won numerous prizes, is the long time poetry editor of Chiaroscuro Magazine, has been an anthologist, has consistently produced work that refuses to be classified – working in both Spec and Lit Fic with extraordinary ease – and is a founding member of the Algonquin Square Table poetry workshop. Oh, and she runs her own poetry imprint too: Kelp Queen Press. And on top of all that she’s one of the nicest people we know. Proving, once again, the delightful adage that horror writers really are some of the most pleasant people you’ll ever meet. We’ll have a full Bio up for Sandra on our Judges page in the near future. And with that our 2011-2012 contest year has a full roster of empaneled judges. In a few hours time the 2011-2012 Friends of the Merril Short Story Contest will officially open, and you can begin submitting your stories. If you’re not already following the Contest Blog (through the “Subscribe” widget to your right) or via Twitter (@fomcontest) you can do so at any time to make sure you get up to the minute updates on the Contest, and keep abreast of additions or alterations as they occur. For all those of you coming to the Friends of the Merril Short Story Contest website from either Ralan or PlacesforWriters, we wanted to clarify that the maximum allowable word count for the 2011-2012 Friends of the Merril Short Story Contest has been bumped up to 4,000 words/entry. This change was made after we submitted our listing requests to Ralan and PlacesforWriters, so their listings do not yet reflect the updated limit. As far as we know, all other information in both listings is accurate. As there are other updates we announce periodically we suggest that those of you not already following the Contest either through the Blog Subscription (the “Subscribe” widget to your right) or through Twitter (@fomcontest) may wish to do so in order to keep abreast of potential changes to the Contest. As always, if you have any Contest related questions you can address them to Michael Matheson at fomsscontest@gmail.com. As of today there’s only one week to go until the Friends of the Merril Short Story Contest reading period opens on November 15th. Once the contest officially opens we will activate the PayPal Entry Fee button and all entrants can begin submitting their stories. If you want to take some extra time after the reading period opens to make sure your submission(s) are honed to a razor edge you’ve got three months to do so. The reading period will be open from November 15th, 2011 through February 15, 2012. But please don’t leave your submissions too late as we can’t accept anything submitted after 11:59 p.m. EST on February 15th, 2012. For hard copy submissions we need to have received your submission by February 15th, 2012, so we suggest you mail it at least a week sooner to make sure it gets to us in time. If you have any questions to ask before the reading period begins, or during the open reading period, please query Michael Matheson at fomsscontest@gmail.com. Also, please be sure that you’ve read through the Contest Rules and FAQ pages to be sure that there are no problems when you submit your entry. We look forward immensely to the submissions coming in, and we wish you all good luck! The Friends of the Merril Short Story Contest is pleased to announce that Leah Bobet, publisher of Ideomancer Speculative Fiction, and celebrated writer/editor has joined the contest staff as a final panel judge for the 2011-2012 contest year. And you can find a complete bio for Leah Bobet on our Judges page. We’re still in the process of finalising confirmation for our remaining final judge for the 2011-2012 contest, and hope to be able to announce them soon. In the meantime, you can keep checking back for more updates, or you can follow us through this blog or Twitter (@fomcontest) to receive news and updates when you want them, where you want them. The Friends of the Merril Short Story Contest is pleased to announce that Michael Kelly, known for his dark, often haunting fiction, as well as for his accomplished work as an editor/anthologist, has agreed to act as a final panel judge for the 2011-2012 contest year. For those not familiar with Kelly’s work, he runs Undertow Books, through which he produces the literary horror journal Shadows & Tall Trees, and he’s been editor and anthologist for anthologies both through his own imprint and other publishers. You can find a complete bio for Michael Kelly on our Judges page. We’re still in the process of finalising confirmation of our other Judges, and hope to be able to announce them soon. In the meantime, you can keep checking back for more updates, or you can follow us through this blog or Twitter (@fomcontest) to receive news and updates when you want them, where you want them. The Friends of the Merril Short Story Contest is adding a very limited edition (5 copies) hand crafted booklet, containing the stories of the 2011-2012 winning authors, to the prize pool. One copy will remain in the Merril Collection as part of the permanent archives. One copy will be retained by the artist producing the booklets, and the others will be distributed, one booklet each, among the winning authors. The details for the production of the booklet are not yet fixed as the design specifics are dependent on the length of the winning works, among other factors. However, we think you’ll agree that the limited edition booklets are a fantastic addition to the already excellent prize pool. And, of course, once the booklets themselves have been produced (sometime after the conclusion of the 2011-2012 contest) we’ll post photographs of them to the website. We’ll be updating the information on the contest website to reflect the new prize listing over the next few days as part of the runup to the official opening of the 2011-2012 reading period. In the meantime, if you have any questions relating to this, or anything else about the contest, you can get in touch with us at fomsscontest@gmail.com. Keep an eye out for more updates to the Friends of the Merril Short Story Contest relating to our Judges and other aspects of the contest. Also, if you’d rather we came to you with our updates, you can follow the contest blog (using the Subscribe widget to the right) to stay on top of updates and news items. And remember, the 2011-2012 contest officially opens on November 15, 2011. So get writing. The contest is open to international entrants without restriction on country of residence, entrants’ publication history (or lack thereof), or any other delimiting factors (though entrants not of age of majority will need a parent or guardian’s permission in order to enter). The contest will be open to original, previously unpublished entries from November 15, 2011 through February 15, 2012. On November 15th we will post a PayPal button to the site which may be used to pay entry fees online. In the meantime we ask that entrants please wait until the contest officially opens before sending any contest entries. Enter your email address to follow this blog and receive news and contest updates by email. The banner is taken from "Android" by Toronto artist Jenn Desmarais. See more of her work on Facebook at https://www.facebook.com/artofjenndesmarais.